Every time I look at a peak, my eyes widen! One that takes you away, Beyond all that entangled stress! Hope, Dreams, Paradise beyond enchantment! A breath a mile, as we climb this ascent! Journey to the mountains is always a belief! A belief beyond a shadow of an underdog’s achievement towards glory! A hope, a dream and an experience that we take upon ourselves to feel that exhilarating madness that you derive after you climb the peak and reach the top! Just around this time of the year, I have a strong urge to go back to these magical, mystical divine creation of nature! A feeling that I cannot, and I do not want to resist as much as I want to! While I took to trekking in the Himalayas about 6 years ago and have been continuing to visit these mountains every year, whether I trek or not, it just feels like yesterday! Every year, for that little glance, a beautiful peek at the sunrise beyond the mountain or the sunset hovering across the snow capped peaks of the Himalayas, gives me that sense of fulfilment. One that I cannot express in mere words! It’s as if there is another universe in itself and I’m tangled in this undying bond, a delirious and encapsulating feeling of boyhood, a desire to keep playing with a toy! 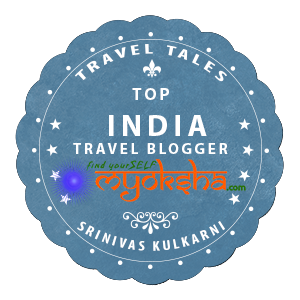 This entry was posted in North, Tales from Himalaya and tagged Har ki Doon, Har Ki Dun, Harkidun, Himalayan treks, Himalayas, India, India Travel, Mountains, Travel, Travel Blogger India on February 28, 2016 by srinistuff.